A good sleeping bag is an indispensable gear item for backpackers. When the temperature drops at night, there is no better feeling than crawling into your bag to settle in, get cozy, and stay warm for the night. From a survival perspective, the argument can be made that a sleeping bag is the single most important piece of gear in your pack. If you found yourself in the backcountry without food, water, and shelter, a sleeping bag would enable you to circumvent hypothermia. You can go without food for weeks, find water in most environments, and take shelter underneath a rock overhang. Without insulation, your body temperature will drop when it gets cold and put you in real danger. A few years ago, during preparations for a camping trip, I left my sleeping bag at home by accident. Nighttime lows dipped to around 50 degrees Fahrenheit and though I layered up, it was not a pleasant experience. If all goes according to plan, you can avoid having to go through a cold, sleepless night in the wilderness. To help you achieve that, I wrote this post with two goals in mind: 1) To describe what to look for in a sleeping bag and define common terms. 2) To help you choose the best sleeping bag for backpacking. In your search for a new sleeping bag, weight should be one of the primary things to take into consideration. Sleeping bags are one of the heaviest items you carry on a backpacking trip, so a lightweight one can reduce your base weight by a lot. For that reason, all of the sleeping bags I recommend are around 2 pounds or less. A sleeping bag ought to keep you warm so you can stay comfortable during the night, sleep well, and wake up in the morning ready to tackle the day. To figure out which bag will satisfy these requirements, you need to have a rough idea of what the low temperatures will be like on your trips. Most backpackers opt for a three-season bag, because it covers you under the widest range of conditions. Plus, if you are summer camping in the mountains, it is going to get cold at night regardless. In my opinion, you are better off running the risk of being too hot than too cold. If you are unable to get warm in your bag, there are few tools at your disposal. If you start to overheat, you can take off layers to reduce insulation, unzip the bag to let in cooler air, or lay the bag over yourself like a blanket. To make your hunt for the right sleeping bag easier, manufacturers also provide temperature ratings. The idea behind these is to give you an idea of what the lowest temperature outside can be before you become uncomfortable. For example, let’s say a bag is rated at 20 degrees Fahrenheit. In theory, as long as the temperature stays above 20, you won’t feel cold in that particular bag. Unfortunately, these figures are not entirely accurate. The temperature rating of a bag should never be interpreted as absolute fact. I say this for a couple of reasons: 1) Manufacturers are not held to a standardized system of testing, so you can never be sure of their claims. 2) Everyone is different and has their own warmth threshold and tolerance for cold. Still, temperature ratings can be useful for estimating how warm a bag is. Until you test it for yourself, you won’t know for sure though. Another significant determination to make is whether to purchase a down or synthetic sleeping bag. Most synthetic bags are stuffed with polyester and cost less than down bags. If a synthetic bag gets wet, it maintains its insulation properties better than a down bag to some degree. No matter what though, a night spent in a wet sleeping bag is going to be miserable. Of all the gear you want to keep dry, a sleeping bag is your number one priority. Therefore, it is a good idea to put it in a lightweight dry sack. Given that fact, it is best to buy a down sleeping bag because they have a far superior warmth to weight ratio than synthetics. They also compress down further and as a result, use less space. On top of that, more and more manufacturers have added water resistant (hydrophobic) coatings to their down bags. The bottom line is, down bags are a better choice for backpackers. Next time you see a goose, remember to tip your hat. Without their feathers, we would all be a little colder on the trail. As you browse down sleeping bags, you will notice that fill power is a prominent specification that is listed. This is a measurement of the down’s loft and is calculated by compressing an ounce of down and reading its cubic inches per ounce. The higher the number, the better the quality. Down sleeping bags with higher fill power require less down to achieve the same degree of insulation and warmth. As a result, they have lower temperature ratings and weigh less than bags with lower fill power. Because of this, all of the sleeping bags I recommend in this post have 800 fill power or greater. As a final consideration, you will need to decide whether to go with a mummy or quilt-style sleeping bag. In the ultralight backpacker community, quilts are gaining popularity. The pro-quilt rationale is that the portion of a mummy bag underneath you (between your body and the sleeping pad), is compressed to the point of being useless. Down without loft does not insulate. By removing that portion of the bag, you save weight. In addition, quilts don’t include a hood like mummy bags do, which saves even more weight. As a quilt owner, you can keep your head warm with a beanie, balaclava, BUFF headwear, or a down hood. If you are a side or stomach sleeper and move around a lot at night, the unrestricted openness of a quilt could be favorable as well. Despite the advantages touted by quilt owners, many people are not ready to part ways with mummy-style bags. This is understandable. If you have slept in a mummy bag and been happy with it, you may find it unnecessary to try something else. Lightweight backpacking gear can get pricey, so it’s in your best interest to save money where you can. However, if there is one piece of gear I suggest you don’t skimp on, it’s your sleeping bag. Spending cold and uncomfortable nights without sleep can tarnish your backpacking experience in a hurry. Rather than sacrifice quality, see if you can buy a new bag on sale or find a used one that’s in good condition. For more ideas on how to get inexpensive gear, see my article on How to Find Cheap Camping Gear. Below are my recommendations for the best lightweight sleeping bags. For those interested, I have also included a few exceptional quilts on the list. Feathered Friends is a top of the line down sleeping bag manufacturer based in Seattle, Washington. When you buy a bag from them, you are supporting a small business that makes all of its products in the USA. Their bags are not cheap, but you can expect to receive a quality bag that is constructed to last a lifetime. The Marmot Helium is a super warm bag of the utmost quality. For its low temperature rating of 15 degrees Fahrenheit, it is lightweight at an impressive 33 ounces. It is best suited for cold sleepers with wide shoulders. Montbell makes the most comfortable mummy bags around. This is achieved with their brilliant design, which uses elasticity to make the bag stretchy rather than rigid. For side sleepers that are not quite ready to transition to a quilt, Montbell bags are a great alternative. When it comes to quilts, Enlightened Equipment is an industry leader. It is no secret that they make some of the highest quality quilts available. If you take a look at the “On The Shelf” tab of their website, the pricing might come as a pleasant surprise. 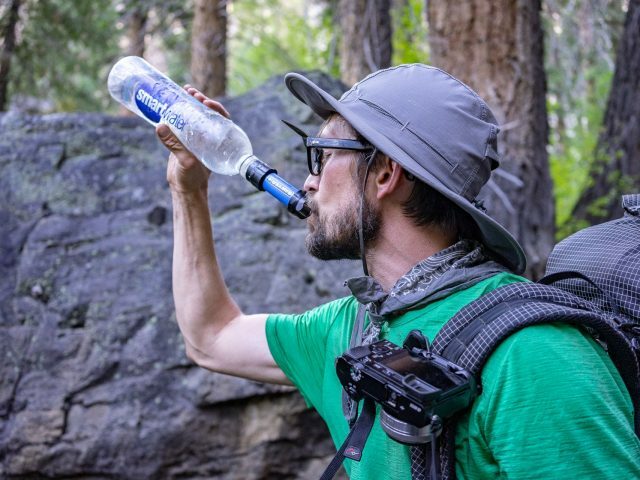 When it comes to ultralight gear, Zpacks will not let you down with any of its products. Founded in 2005 by thru-hiker Joe Valesko, the company continues to make handmade gear in Florida, USA. They offer both a mummy bag and quilt. The Flicker 30 YF is a few ounces heavier than the aforementioned quilts and at 30 degrees, it’s not rated for as cold of temps. As I mentioned earlier though, temp ratings should be taken with a grain of salt. This is the warmest sleep system you’ll find at the 30-degree mark and if you sleep cold it’s available in 20 and 40 also. Feathered Friends is known for having the highest quality down and their proprietary fabric is breathable, durable, and water resistant. If you are on a budget, REI makes a high quality sleeping bag with a superb warmth to weight ratio. The Magma 10 has the lowest temperature rating of any of the bags in this list and still weighs under 2 pounds. Western Mountaineering makes phenomenal sleeping bags, plain and simple. This particular bag is rated at 20 degrees Fahrenheit, but is much warmer than bags rated the same by other manufacturers. Another thing Western Mountaineering bags have going for them is that they are made in the USA and source their down from ethical farms. Given Patagonia’s reputation, it is not surprising that their sleeping bag is a durable, warm, and lightweight option that holds its own in a competitive market. It is stuffed with 850 fill from ethical sources and uses a ripstop fabric coated with water repellent. Mountain Hardware’s Phantom Spark is one of the lightest bags with the lowest temp ratings available. Its Q.Shield DOWN is made to repel water and as a result, this bag does a great job of keeping you dry even when it becomes damp. 03/26/19 – Added Cost section, new FF quilt, recategorized best sleeping bags by backpacker type.